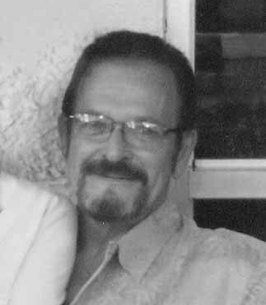 William E. Rickabaugh, 67, of Bedford, passed away on Wednesday, September 26th, 2018. He was born Thursday, March 1st, 1951 a son of Nancy (Clark) Price of Everett. In March of 2012 he married Helen A. (Smith) Rickabaugh. and several grandchildren, all who he loved dearly. He was preceded in passing away by a daughter Candace Rickabaugh in 2011 in Memphis, Tennessee. 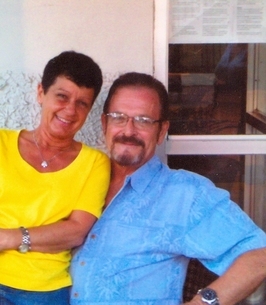 Bill had 40 years of accident free trucking as an Owner/Operator, traveling all over the United States. He always had so many stories about the places he had been, and the people he met along the way. With great pride in his equipment, he truly loved what he did. Bill had the unique ability to design and finish a car in his mind long before he would even start working on it, displaying not only his artistic flare, but his mechanical engineering. He always took such great pride and enthusiasm in whatever it was he was doing. It was just "Mr. Bill's" way. Bill will be dearly missed by his family and so many close genuine friends, as well as his 2 Shepards Kisha and Ranger, both whom were often times seen riding around with them in their pick-up. Through his entire battle with cancer, Bill carried around his optimism, all the while saying, “I'm not done yet!" Private services will be held by the family and memories may be shared online at www.dallavalle-everett.com. Private services to be held by the family. Helen I'm so sorry I have not got to know you very well, But Me and Bill have been Great Friends for about 30 years. I kind of looked up to Bill and Respected Him. He was one of the ones who helped me with my Trucking Career. (and keeping my trucks and cars spotless).I will miss hearing call me Brother Lee. Helen, I am so sorry to hear of Bill's passing. I pray that one day they will find a cure for cancer. Memories are flooding my mind, especially when he took us to the garage to show us his projects. What a wonderful and creative man. I will cherish the set of dishes that he gave to me from his grandmother. I have Bill's memories locked away to call upon later and reminisce. I pray God grants you peace, Helen. So sorry for your loss. Please know you all are in our thoughts. Please let us know if you need anything.